With the cold weather well and truly set for the foreseeable future, many are spending the long, dark nights curled up in front of the fire, dreaming of sunnier climates and where to spend their next holiday. Our villas provide the ultimate inspiration for escaping your hectic lifestyle with a touch of luxury in your home away from home. Once your Instagram story has been updated accordingly with every feature of one of our Tuscany family villas, you may wish to try out your photography skills elsewhere, making everlasting memories that can also be sent to envious family and friends back home. We’ve created a list of the most photogenic spots in Tuscany, leaving you with a holiday full of incredible sights that you’ll never forget. Keep reading for a varied list, with general features of the Tuscan countryside and specific locations that you should visit. 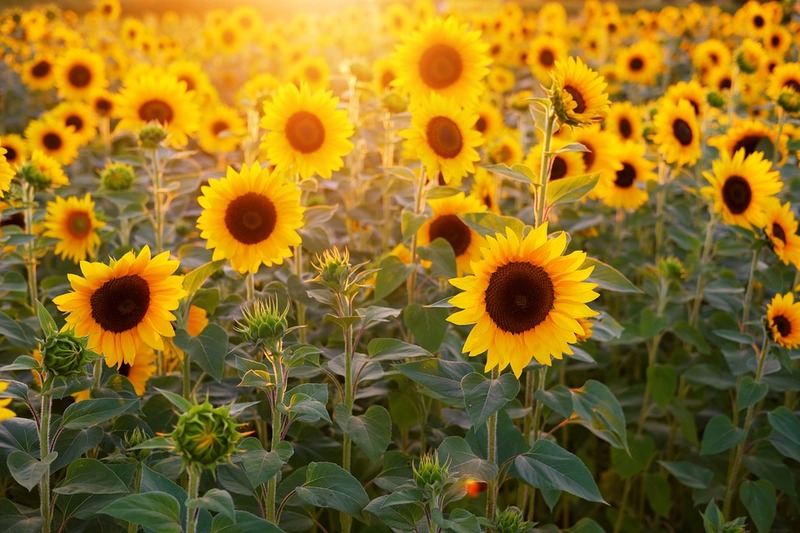 If your holiday is set to take place during June or the beginning of July, you’ll be pleased to hear that much of the scenic countryside in Tuscany is blanketed with a carpet of sun flowers during this time. Capture the yellow, joy-filled fields that stretch as far as the eye can see in every direction, but don’t wait for the romance of sunset, when the petals tend to bow their faces along with the diminishing light. 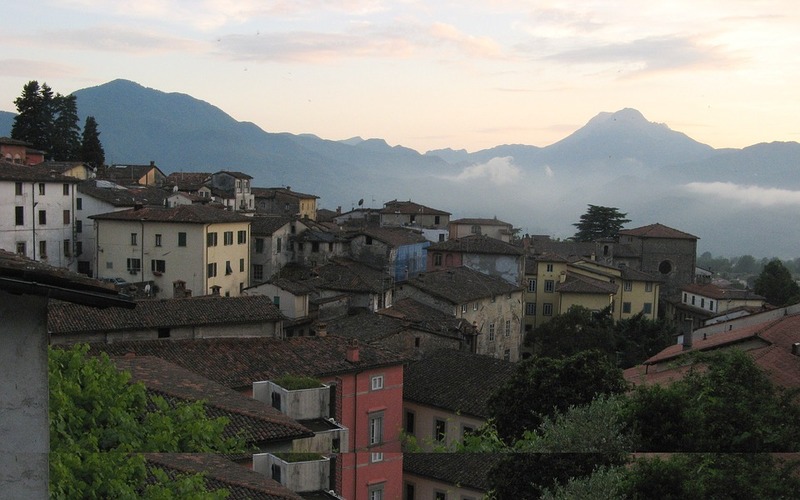 Nestled between Lucca and the impressive Garfagnana mountains amidst the Media Valle of the Serchio River sits the small hillside town of Barga, where photographable features are never too far away. The Romanesque Duomo, impressive theatre and an array of Renaissance buildings are reason enough to visit for budding photographers. It is widely known as the most Scottish town in Italy due to a mass emigration at the end of 1800. There’s also plenty of events to look out for, including Opera and Jazz festivals and an event dedicated solely to Fish and Chips over the summer. Dedicate a day or two to drive through this beautiful area of the region, stopping at regular occasions for photo opportunities, short hikes and picnics all the while taking in the unparalleled views that unfold in front of you in every direction. On a sunny day, the light will reflect differently on the fields at varying points as time passes by. We recommend going on your own adventure by foot to discover the beautiful, untouched nature of this peaceful part of the world. A site that holds some of the best views in Tuscany, Italy and beyond, the Monte Folgorito stands modestly at just 900m tall, but on a clear day boasts views over the Ligurian Alps, Corsica Island, Elba Island and the Gulf of Poets. The magical spot is around a 30-minute drive from Massa, followed by an easy 40-minute walk along a gravel road until you reach the summit of Monte Folgorito, which is named after the apple tree there. The ultimate spot for a family photoshoot and a picnic with a view, not to be missed during your time in Tuscany. Known affectionately as Medieval New York thanks to its various ‘skyscrapers’, this sleepy town was built in the 8th Century, starting life as a castle surrounded by walls. During the Middle Ages, as many as 72 towers were built as houses for high-flying families who wished to display their levels, or perceived levels of wealth and power. Today, just 14 of those towers have stood the test of time, but still create an awe-inspiring scene for budding photographers to capture during their holiday. 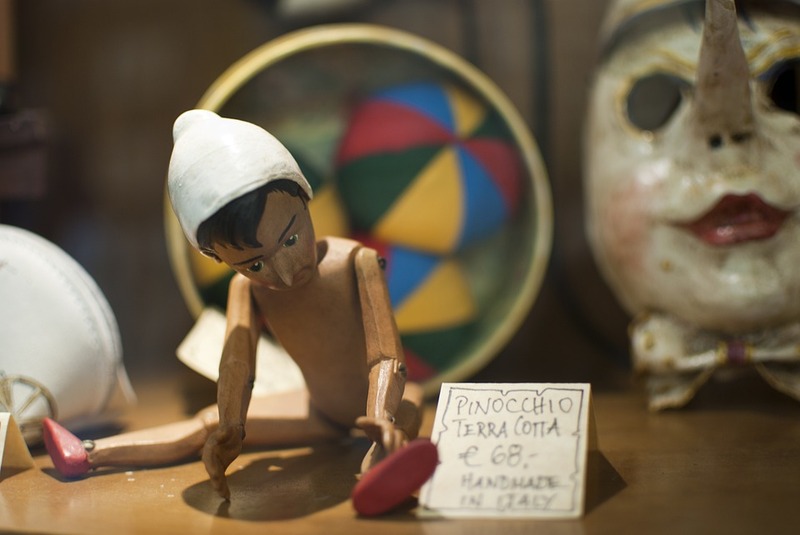 The birthplace of Pinocchio is everything you’d expect it to be and more, boasting a plethora of Instagrammable features around each and every corner. The pretty hamlet has a unique aesthetic of cascading houses down a steep hill and lots to see during your day there. The Baroque style gardens are beautiful at any time of the year, while the Monumental Park of Pinocchio has fascinating sculptures of characters from the novel, making for truly fantastic holiday photos that are unlike any others. 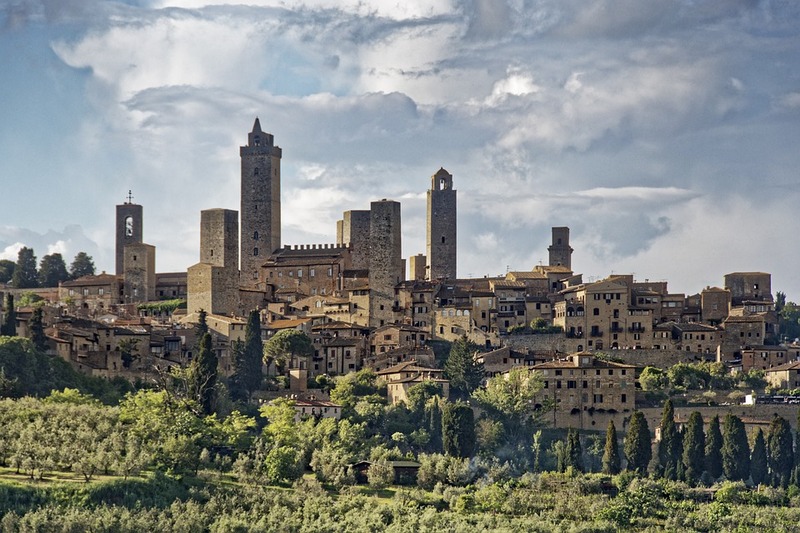 For more inspiration on Tuscan towns, check out our recent blog, 7 Tuscan Towns You Need to Visit. 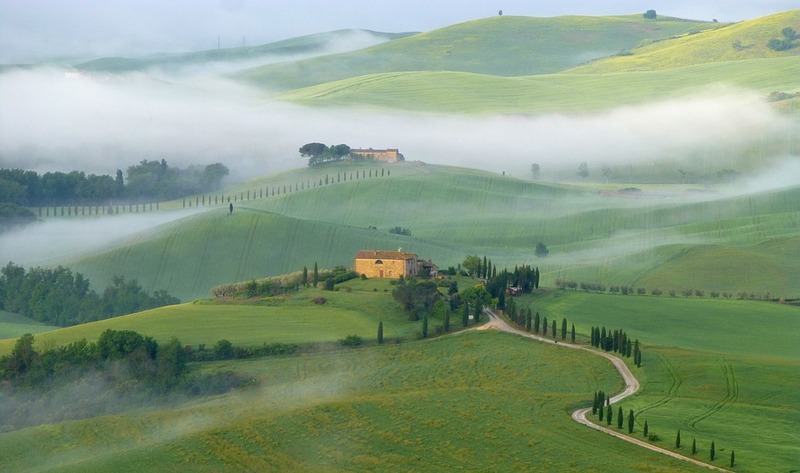 Flanked by picturesque trees atop a small hill sits what is undeniably one of the most photographed spots in Tuscany. 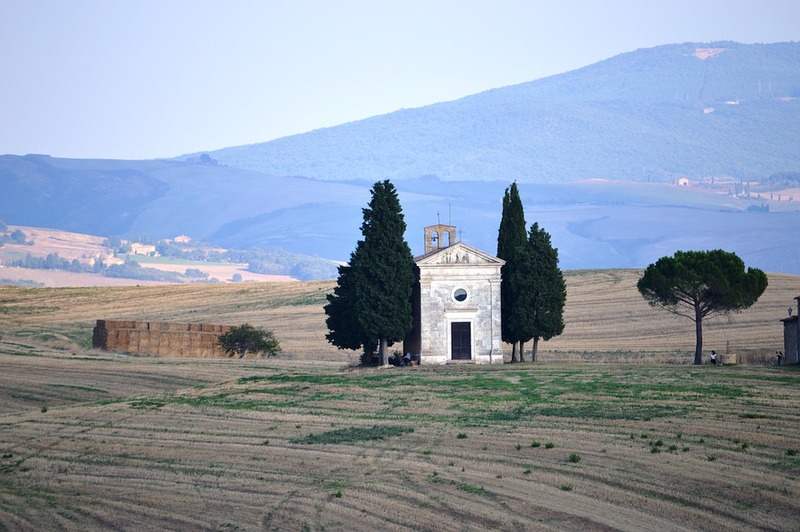 Located in the Val d’Orcia mentioned previously in this article, the UNESCO World Heritage area sits in the southern area of Tuscany, just two hours from Florence. The inside of the chapel can’t be visited, but its awe-inspiring surroundings make for fantastic snaps from every angle. Depending on what season you visit, you might be pleasantly surprised to find an explosion of poppies blooming around the chapel, making it one of the prettiest picnic spots there is. Considered by many to be one of Tuscany’s best kept secrets, Botro ai Buchi is a natural canyon nestled in the reserve of Castelvecchio and is accessible via car and a 30-minute walk along a bumpy trail. The deep gorge is surrounded by woods and large, moss-covered boulders and boasts some of the greenest vegetation there is in every season, giving it somewhat of a fairy-tale setting. The last part of the canyon is equipped with ropes to help you cross the large puddles of water, although younger children may enjoy jumping in them just as much. That concludes our guide to just some of the most photogenic spots in Tuscany for you to discover during your next escape to Italy. We hope to have provided some inspiration for days out for you and the whole family to enjoy, alongside some tips on how to get the best holiday photos and keepsakes of your time away. If you have any questions about staying with us in Tuscany, don’t hesitate to contact Essential Italy today, where a passionate member of our team will be more than happy to help.